Uses: Office, Other Markets Lengths: 11 panel 20'-5" Heights: 8'-0"
We received a great comment and these photos from the owner of Pretty Nails Salon in Morris Plains, NJ. Here are the pictures of our salon with the Screenflex we bought we use..It is really a smart idea getting the Screenflex. It really fits our new salon. Perfect for our massage and body sugaring room….Thanks!! 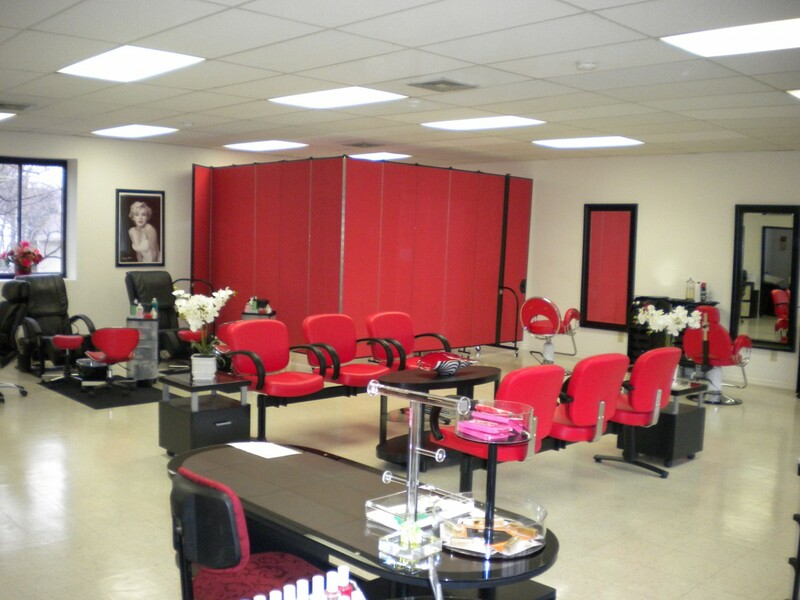 Even in salons, Screenflex Room Dividers add a stylish touch and are an easy solution for providing privacy. 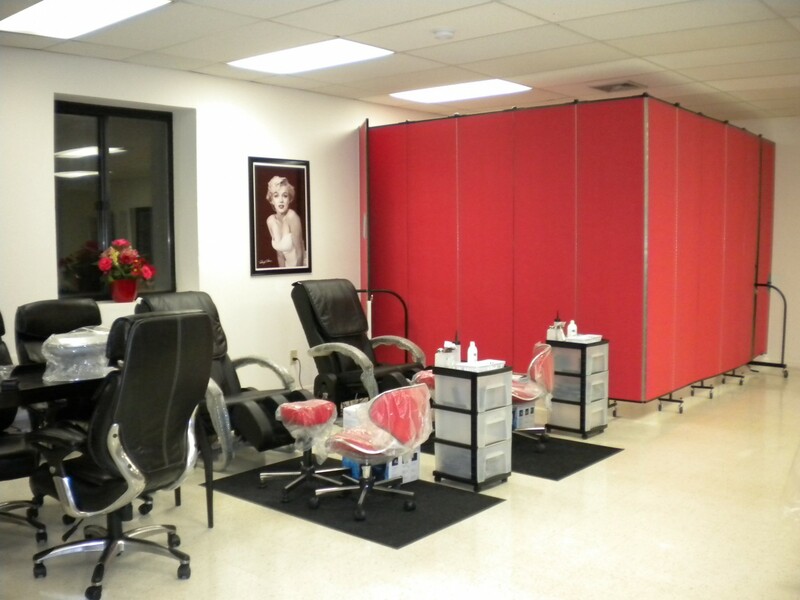 Just one divider turns this back corner into a private area for sugar massages at the Pretty Nails Salon. The red divider matches perfectly in this Colorsful interior.